Have you ever wondered how birthday celebrations became so important? To some birthdays are a huge ordeal. To others, birthdays are just another day in their time here on earth. I’d say that I’m right smack dab in the middle of the mix. While I like a bit of a fuss to be made on my day, it is in actuality just another day in my life…. But this “just another day in my life” is truly a gift in and of itself. Time and time again we are reminded that life is so very precious; never knowing which ordinary day will be your last here. Illness, Accident or nature… you just don’t know when your time on earth is up; when a normal day will be your last. Your birthday is your own personal “Happy New Year” celebration. It’s the day that we celebrate you making your appearance in the world. In my family we don’t have any traditions that are set in stone but we usually have dinner at my mom’s that most often includes corn on the cob and fried green tomatoes (all of our birthdays are in the summer 🙂 ). Summer birthdays always lent themselves to fun in the sun… from slip and slide birthday parties to weekends on the house boat in Erie with my Aunt, Uncle and cousins to weekend birthday celebrations at the cabin with little bro and friends. Often we got flowers from our step-dad on our birthdays along with cake and ice cream. Many birthdays have been spent at work in my days at Kennywood or on field trips at the daycare I used to work at. Concert tickets have made some pretty cool birthday gifts I’ve received including several Dave Matthews Band concerts and the Paul Simon & Bob Dylan show I saw with an Ex. All things aside though…. YES, the gifts are nice & the cards are heartfelt or funny. BUT, the biggest gift we receive each and every year is more time to walk this Earth. More time to leave your mark on the world… More time to forage relationships with those you love and initiate new bonds. The gift of you to the world is the most amazingly spectacular gift that can be given… for on YOUR day, you and only you are celebrated. Your talents, your being, your treasure. 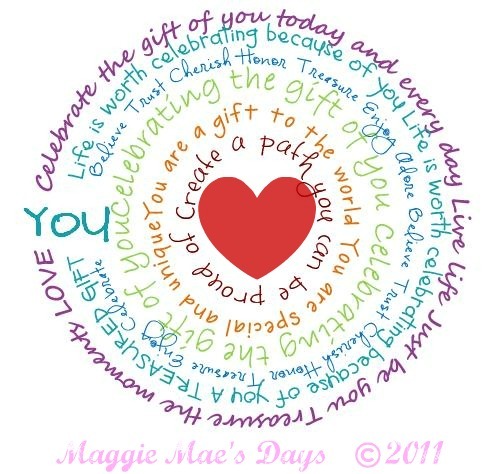 Celebrate the gift that you are to the world. The gift that you are to your friends and family… the gift that you are to yourself. Acknowledge your awesomeness and celebrate the fact that you are unique. You are the most precious of gifts that could ever be received. 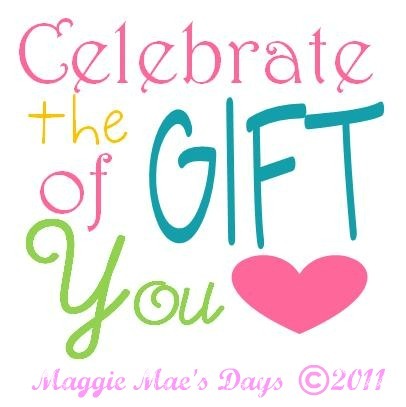 So on your special day each year… I celebrate the gift of you! CELEBRATE each breath that you take… every move you make. Soooo yummy!!! I could eat em every day! You are absolutely right! You should be celebrated everyday. I was contemplating how much of the focus on birthdays falls on giving & receiving presents.